Mother's Day is almost here and in true fashion I am so behind in getting gifts or planning anything. I went to Target yesterday for just a few things and of course I came out with more than what was on my list. Isn't that always how it goes when it comes to Target? Well, it dawned on me that it really is a one-stop shop for me, I mean where else can you get yummy strawberries and a cute dress to wear for the weekend? There really isn't any other place like it, and I also came to the realization that it's a great place to get gifts. Especially last minute gifts because you can always head to your nearest Target and find something that tickles your fancy. And if you can find something you like, then you're bound to find something that your mom will like. I just want to disclaim that this is in no way a sponsored post. I am just a huge fan of Target and found so many goodies to gift to my mom. 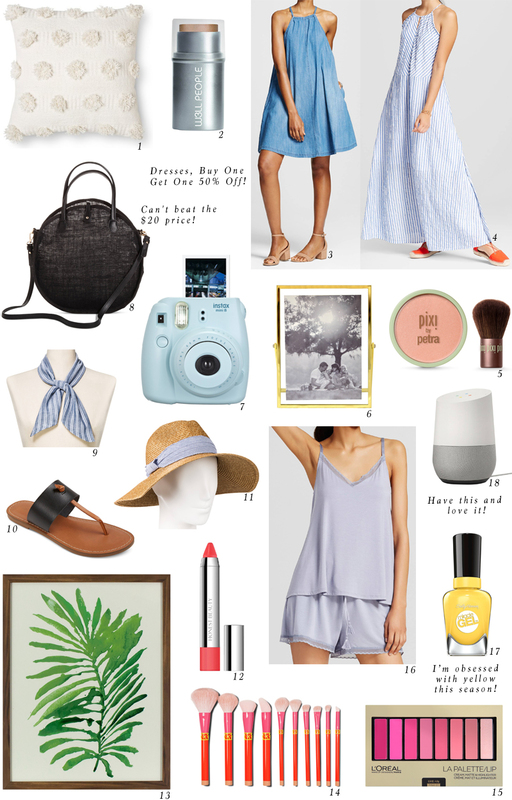 And honestly, all of these things are things I wouldn't mind getting for Mother's Day too! I'm actually hoping that the hubby sees this post and gets the hint. Hope this helps any of you who are like me and haven't done your gift shopping yet!